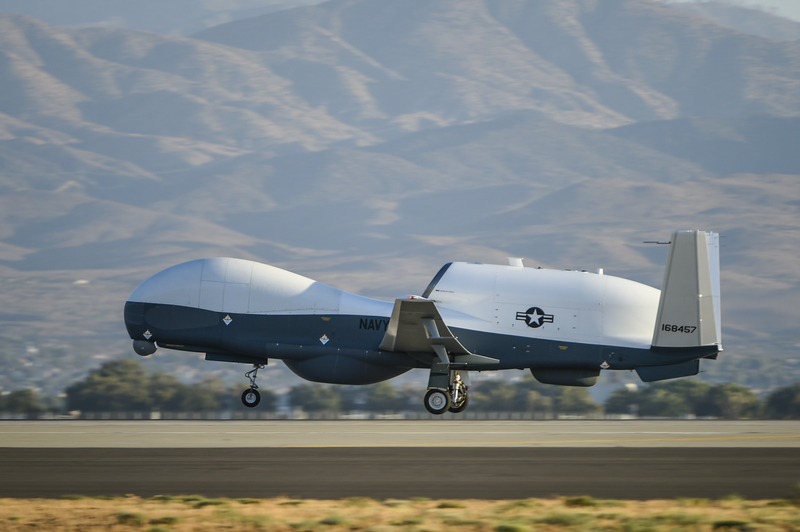 PALMDALE, Calif. â Sept. 18, 2014 â The first U.S. Navy MQ-4C Triton unmanned aircraft system (UAS) has completed a flight from California to Maryland. 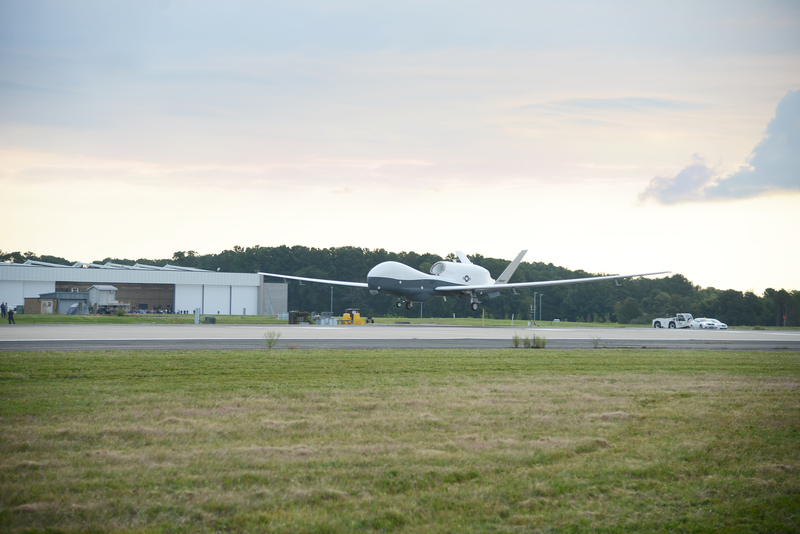 The UAS flew 11 hours from the Northrop Grumman Corporation (NYSE:NOC) facility in Palmdale to Naval Air Station Patuxent River to start its next phase of testing, moving the program closer toward operational assessment. Northrop Grumman is the prime contractor for the Navy's MQ-4C Triton UAS program. At Naval Air Station Patuxent River, the aircraft will be outfitted with a sensor suite, before going through a series of sensor integration flights. One of Triton's primary sensors, the AN/ZPY-3 multifunction active sensor radar, will provide an unprecedented 360-degree field of regard for detecting and identifying ships. "Now that the aircraft has arrived, we are ready to conduct the next phase of the test program," said Capt. James Hoke, Triton program manager, Naval Air Systems Command. "Triton is one of the Navy's most significant investments in unmanned aircraft systems to date and we look forward to evaluating its capabilities." In preparation for the cross-country flight, a Navy/Northrop Grumman team completed numerous systems tests on Triton. During the flight, the joint team controlled the aircraft from a ground station in Palmdale, which served as the forward operating base, and a Navy System Integration Lab at Patuxent River, which served as the main operating base. The aircraft traveled along the same flight path that was used to transfer the Broad Area Maritime Surveillance Demonstrator from Palmdale to Patuxent River several years ago. "Triton is the Navy's largest, most advanced unmanned maritime surveillance system to cross such a distance," said Mike Mackey, Triton UAS program director, Northrop Grumman. "The successful flight was the result of a Navy/Northrop Grumman team effort, from finishing a major software package to managing equipment inspections." Over the next few weeks, two other Tritons, one of which is a demonstration aircraft owned by Northrop Grumman, will also fly to Patuxent River. Both will be used during system development and demonstration tests. Triton is specifically designed for maritime missions of up to 24 hours. It can fly at altitudes higher than 10 miles, allowing for coverage of 1 million square nautical miles of ocean, in a single mission. The latest Triton product news and information from Northrop Grumman is available at http://www.northropgrumman.com/Triton .